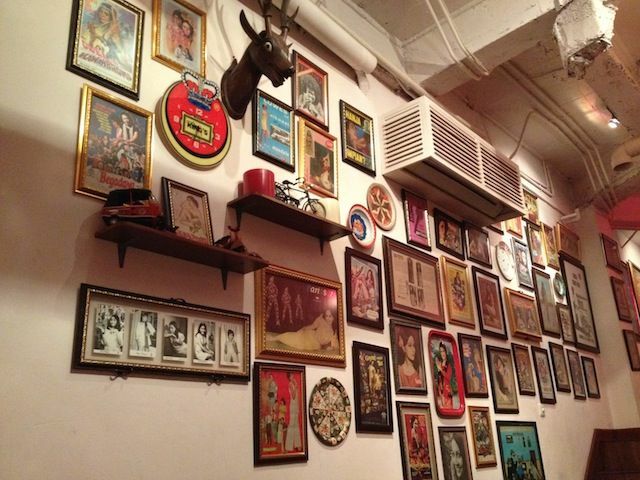 FCalendar #24: Where to Go and What to Do in Jakarta this Weekend? The weekend is rollin’ guys, where will you be? Do you love to dance to ’90s song but fear of the judgement? Join this event and dance to your heart content. Also join a good cause, a fundraising workshop to support talented Indonesians dancers, The Dance Icon to compete in the US this summer. Two people named Diego Yanuar and Marlies have traveled the world on their bikes. In the span of 11 months they travel from Dutch to Indonesia while gathering donation for Yayasan Lestari Sayang Anak, Jakarta Animal Aid Network, Kebun Kumara. 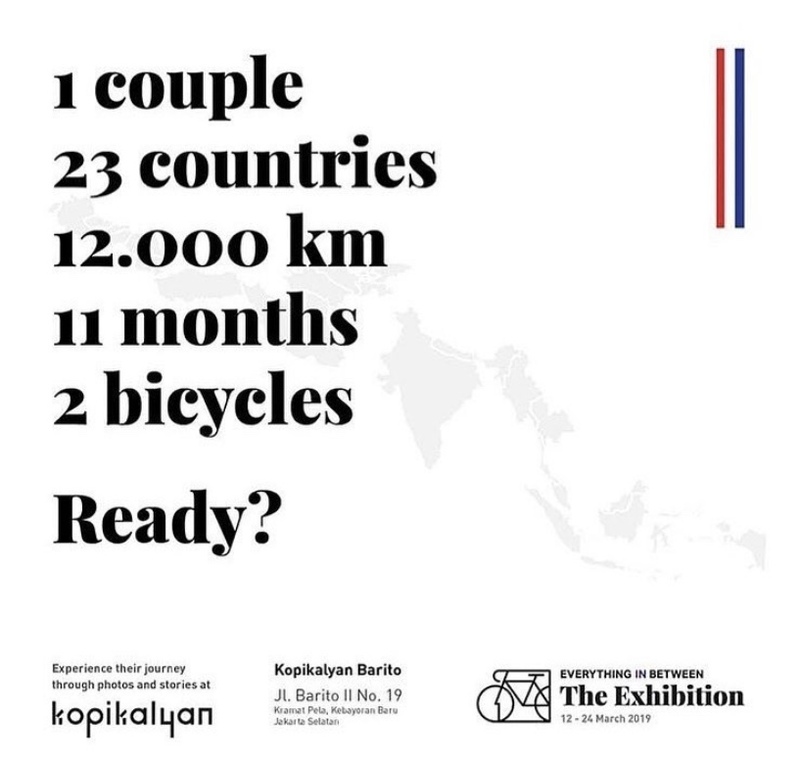 One couple, 23 countries, 12.000 km, 11 months and 2 bicycles, are you ready to see the world through their eyes? 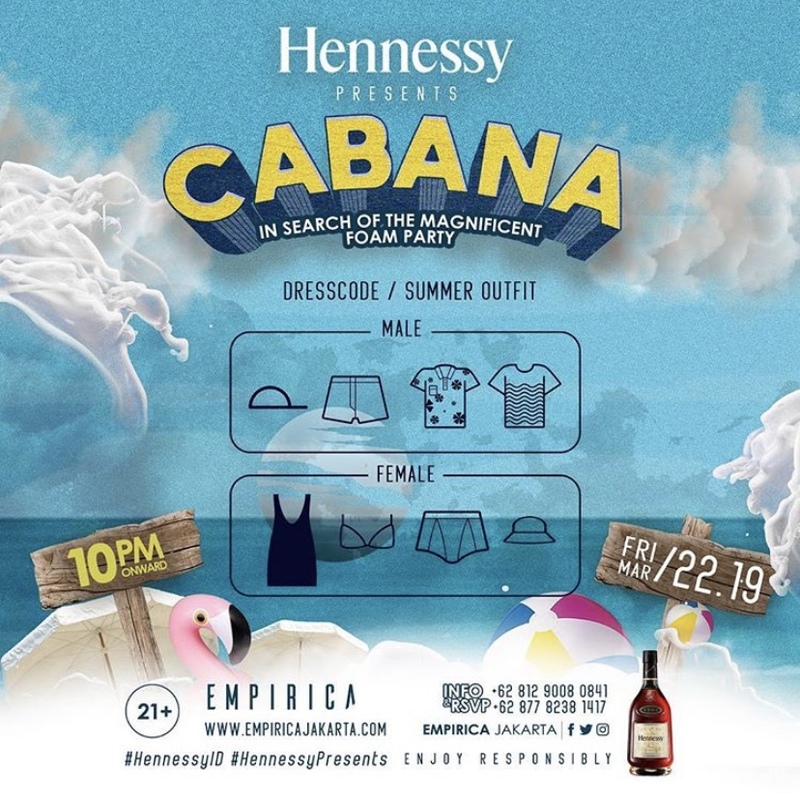 Name CABANA – In Search of The Magnificent Summer Party, this time Empirica is collaborating with Hennessey to bring you a marvelous summer and a foam pool party! Wear your best summer outfit, enjoy the best music from numerous artist and if in luck, you might bring home some special prizes! 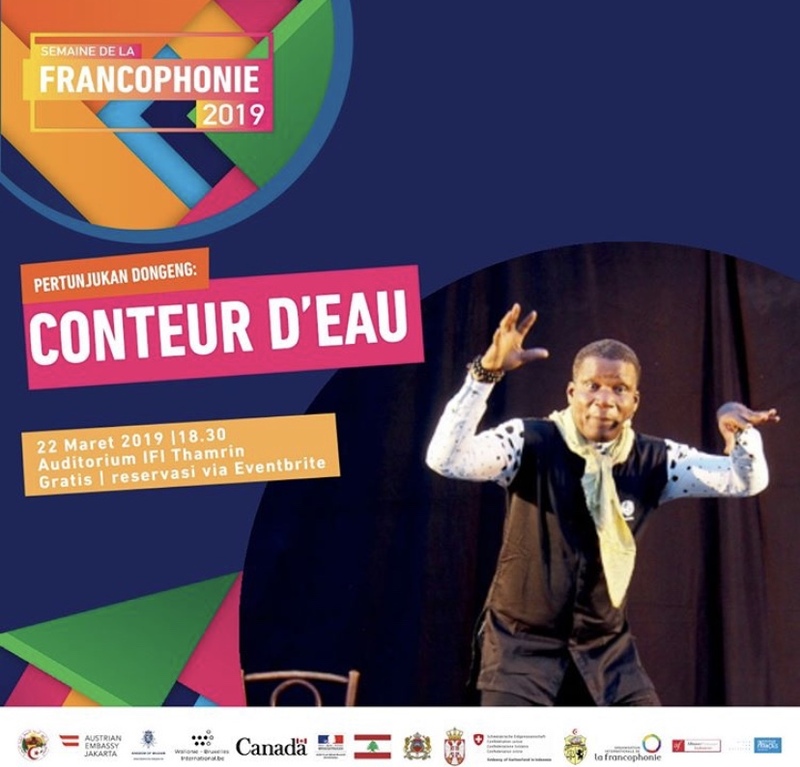 Conteur d’eau or usually known as Water Storyteller is written based on life, myth, legend and stories surrounding water in African countries. This show is the research result of Adama-Adepoju or usually known as Taxi-Conteur. Interested? Come and see this one-of-a-kind show. Join the party provided by CLEAR name #SikatHabis. 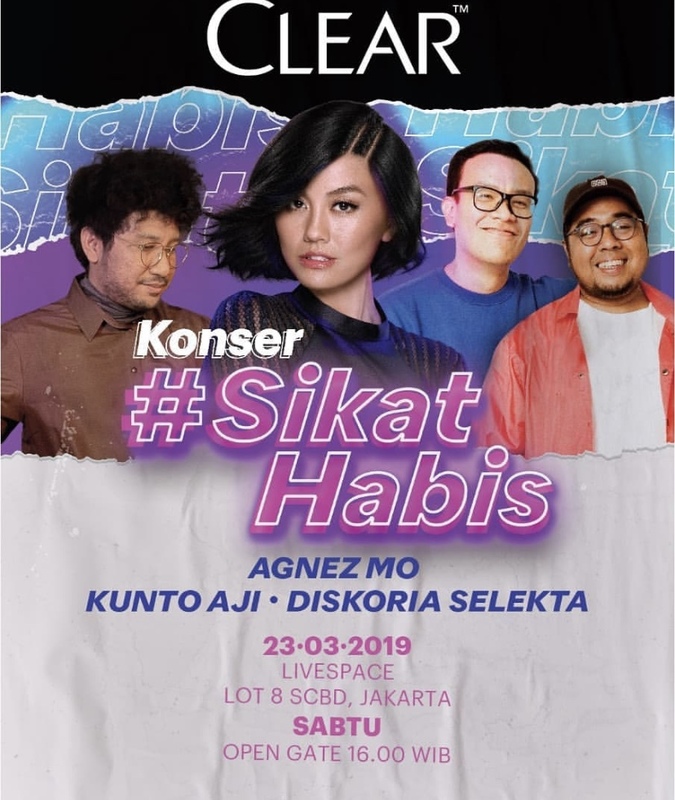 Not just any party, it will be filled with many high-profiled artists such as: Kunto Aji, Diskoria Selekta and not to forget, Agnez Mo! Gate will be open at 4 pm, be sure to come and see the epic performance. It’s Sunday and you might not want to leave the party days behind. Let’s sit back and chill while listening to music by Gaze91, xxnorm and kuroni. Happening from 7 pm on Mondo by The Rooftop and the good thing is, it’s free entry! See you there! This event is a limited edition merch launching by Toko Misteri and Video Starr. 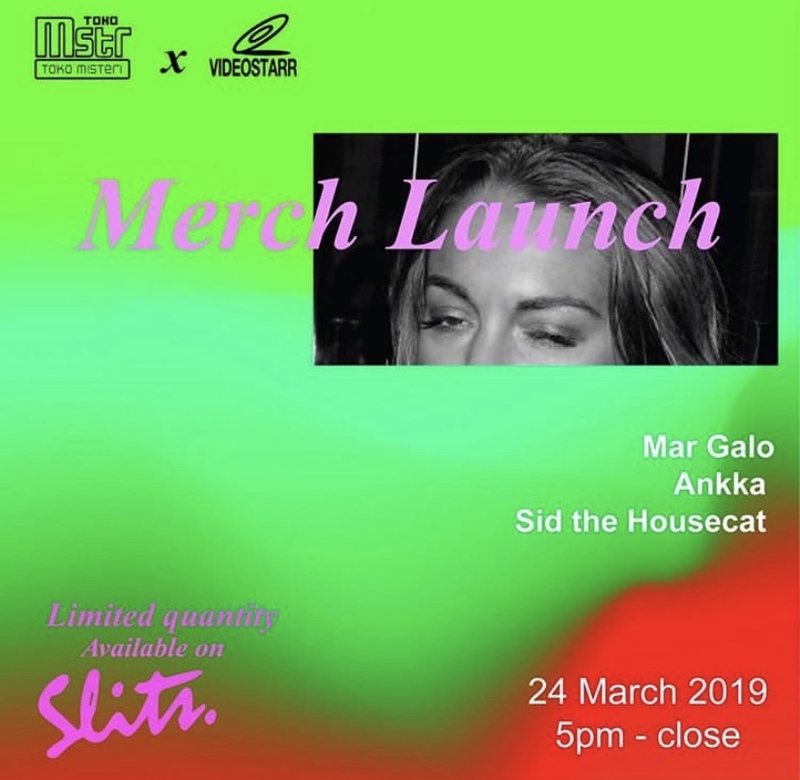 The event will happen from 5-10pm be sure to be there as music will be taken care of by Mar Galo, Ankka and Sid the Housecat.